Back Up Lights were optional on all 1965 Mustangs. None of the 1965 GT350 Mustangs were equipped with back up lights. This included the first 252 Carryover GT350’s also-they did not have back up lights. Strangely enough, Ford installed a different wiring harness in these Mustangs and Shelbys without back up lights. It just did not include the back up light wiring feed in the wiring loom. 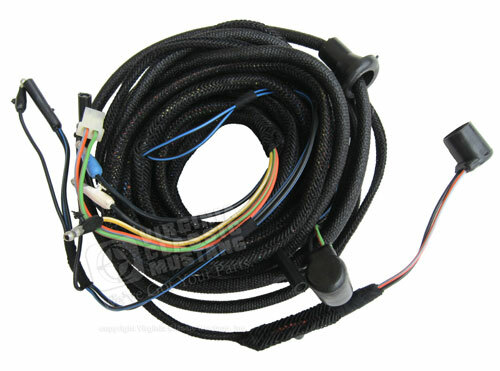 This wiring harness is now available from Virginia Classic Mustang. This harness features the correct color wires, connectors and wrapping loom.